The garage and shed always seem to turn into a dumping ground for everything we take out of the house. We need to get in the habit of taking our donations straight to the donation center and not leaving them in the garage indefinitely. A tote designated for donations is fine but it needs to be emptied regularly. The garage needs to hold so many things. 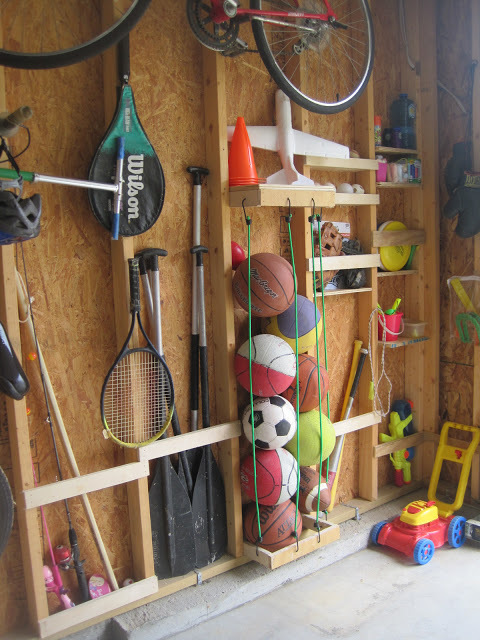 Outside toys, sports equipment and camping gear can take up tons of space but if it’s something your family enjoys participating in you need to find the storage space for it. Wire shelving, hanging bikes and cubbies for smaller equipment are all great solutions. Using the spaces between the studs is another great idea. I love this inexpensive and inventive ball storage. Finding a place to store all the tools is another challenge plus you still need a space to be able to work. 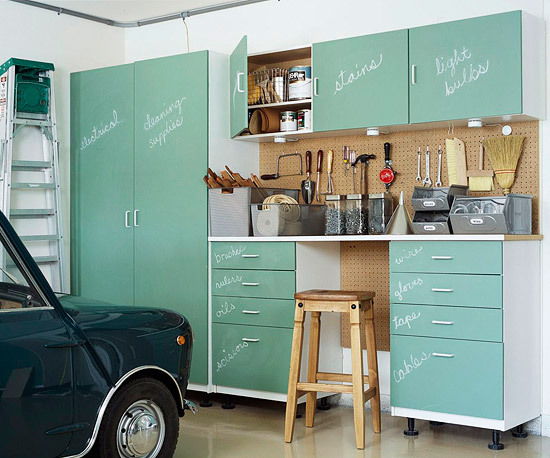 Covering the cabinets in chalkboard paint is a fun idea and you can change the labeling as often as you need too. I like that these cabinets have feet making it easy to clean under them. 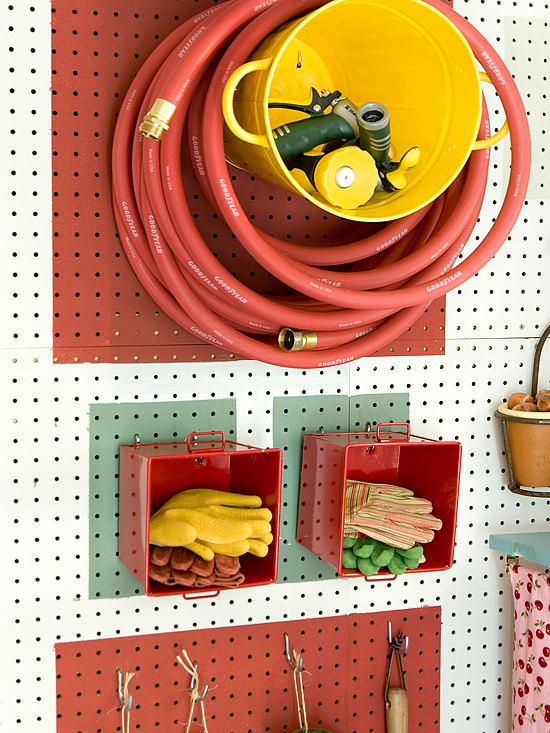 You can never go wrong with pegboard in the garage. Talk about the ultimate power tool storage and charging center. I need to make one of these. 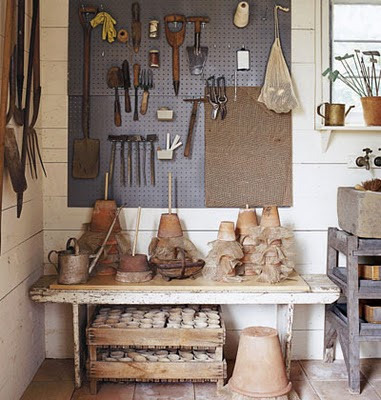 Gardening tools and supplies are other things that need to find space in the garage or shed. Pegboard works great for these supplies too. Designate a separate area for each of the items you need stored. 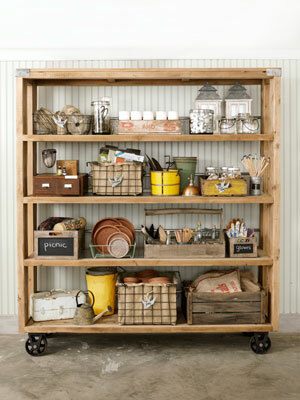 This shelving cart is awesome for storing gardening supplies and it can moved to other areas of the shed or garage if needs be. Another thing I want to make. Why not use supplies you already have in unusual ways. What a great idea for your gardening storage area. I want a cute little gardening shed in my side yard. It would be nice to have it out of the garage. Maybe someday! I’m going to be working on my garage next Spring finding better space for all my gardening supplies, tools and outdoor toys. Pegboard is something that will definitely be included in the planning and I know paint will be involved too. 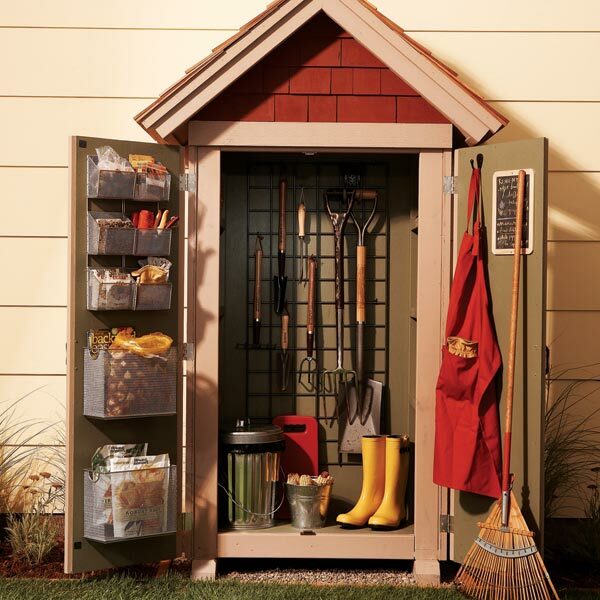 Don’t forget the garage or shed when cleaning and organizing. 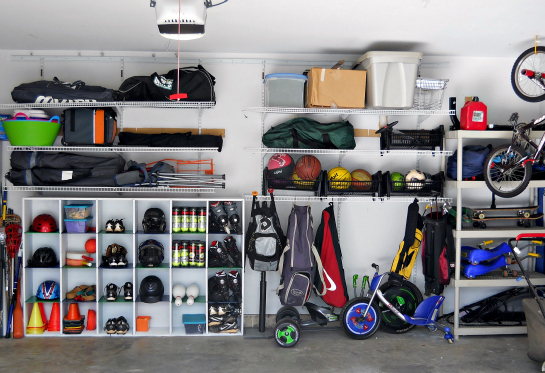 The garage is often how we enter into our homes, we want and need that space to be welcoming and uncluttered. The Home Decor and Organizing Link Party will be open through Friday so come by and link up your wonderful ideas and projects. These are really cool ideas! I love the string idea and the chalk paint. I bought a cart with wheels and we use it all the time! Good post! I love the idea with the funnels! I was going to try and clean out my shed before Winter but it feels like Fall is getting cut short and I might not get to it. I love this post! My garage really needs a makeover! Thanks for sharing all these great ideas!